For more than 50 years, the attorneys at Furr & Henshaw have provided skilled, compassionate and results-driven legal representation to medical malpractice and nursing home malpractice victims in Myrtle Beach and throughout South Carolina. Individuals in need of medical care are entitled to safe and effective services. Yet physicians, surgeons, nurses and related staff are prone to errors. Many such errors are unavoidable, and occur even when practitioners are attending to their duties in a responsible manner. Frequently, however, mistakes arise as a result of a doctor's carelessness, and this is inexcusable. Our law firm is skilled at holding medical care professionals to account. We offer legal support when a patient suffers an injury, or a family loses a loved one, because of a physician's inadequate care. We pursue compensation for victims of surgical errors, hospital negligence, nursing home negligence, prescription medication errors, misdiagnoses and other forms of malpractice. Simply put, you should not leave your medical care facility in a worse condition than when you entered it. When errors arise, our firm is aggressive in its pursuit of justice and compensation. 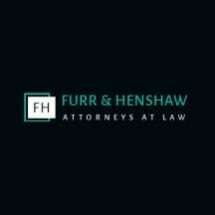 Since opening our practice, Furr & Henshaw has earned a record for success. Over the years, we have recovered millions of dollars on behalf of our clients. Insurers and opposing counsel know that we do not approach such matters lightly, and we are adept at leveraging favorable outcomes. We're ready to assist you, too.